It’s 9AM. Can you honestly say you’re brimming with energy and ready to paint? Well that’s exactly how Racepoint Group was this past Monday. 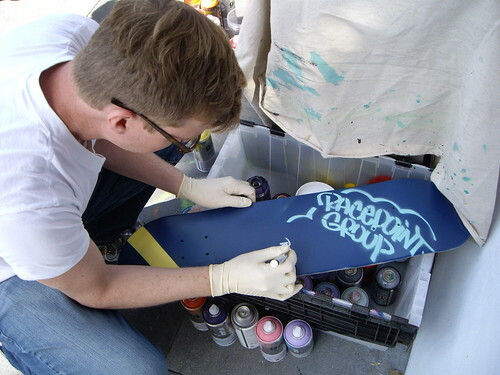 Their team was prepared to get their “learn and paint on,” bringing lots of enthusiasm and blank skate decks to customize during their private workshop (hosted by none other than 1:AM)! 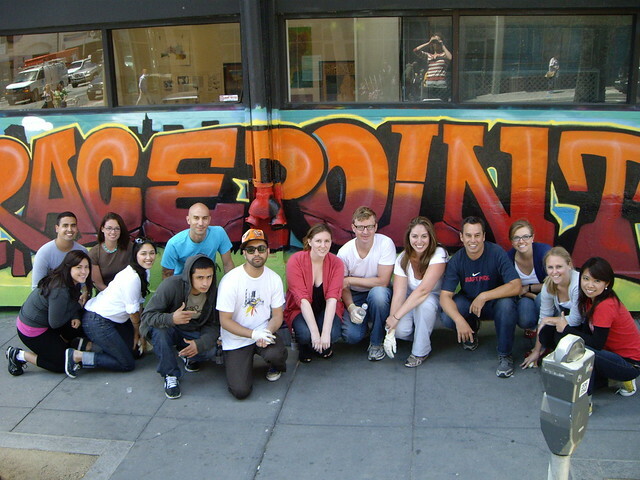 And to top it off, add one part Nate1 and two parts Robert and you’ve got a killer team ready to lead these students on their street art journey. 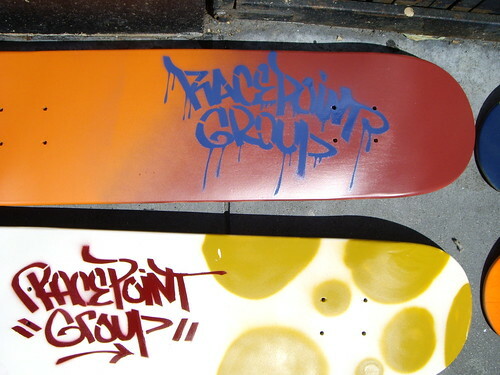 From a brief rundown of the history of graffiti, to personalizing their own skate decks, to painting a mural for all of 6th and Howard street’s traffic to see, Racepoint Group did it all and with tons of style and finesse. Thanks for being such a dope team to work with! And to think, it all began months ago with a chance encounter between 1:AM’s Marketing Director and Racepoint Group’s executive Vice President Bill Orr at the S2 Consulting Company Holiday Party. He wanted a dope activity for his team and 1:AM did its best to deliver. 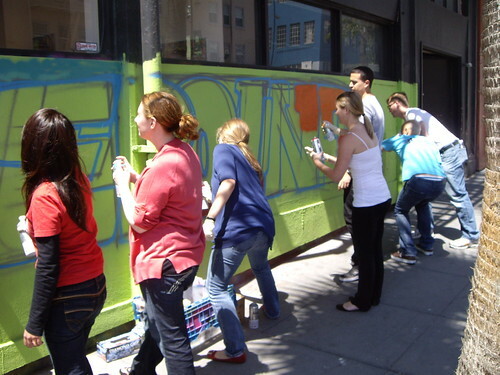 If you’re also interested in having a private workshop for your team, business or group of friends, please contact Class Director Gina at: gina@1amsf.com for more information!